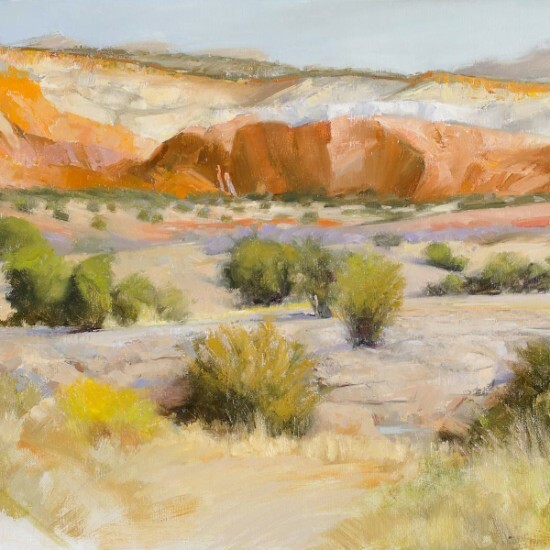 With a rich palette and luscious brushwork, Deladier Almeida infuses vitality into each of his subjects, which range from portraits to scenes of contemporary life to brilliantly observed landscapes. 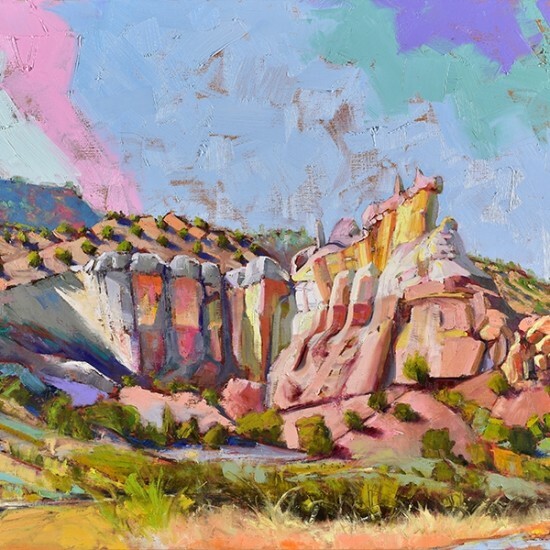 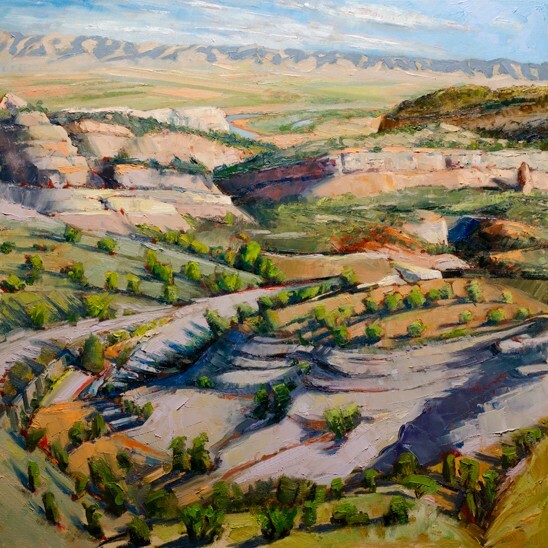 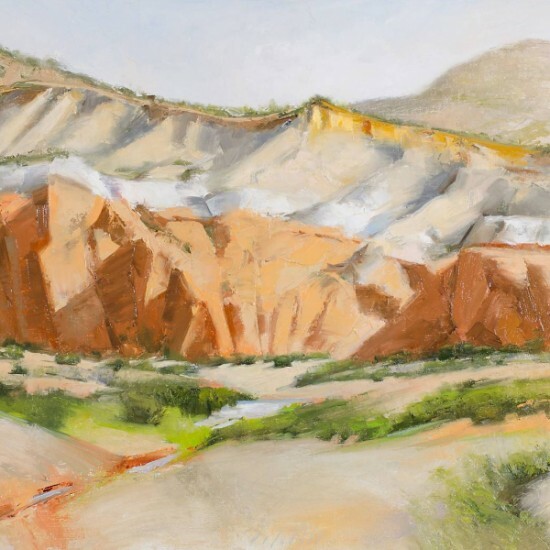 His images of California, Colorado, and New Mexico's varied terrain, depicted from a bird's-eye view that Almeida achieves by flying over regions of the state in helicopters or small planes, are alive with texture and movement. 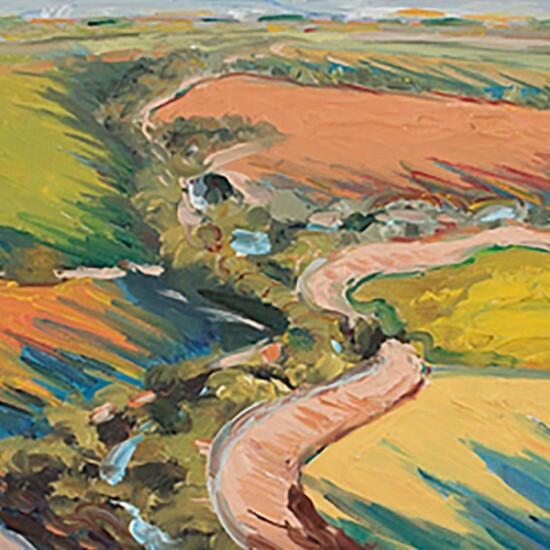 Working quickly, with and emphasis on improvised brushwork, Almeida captures the sense of traveling over the earth, geometric shapes of productive land passing in a mesmerizing array of shapes and colors. 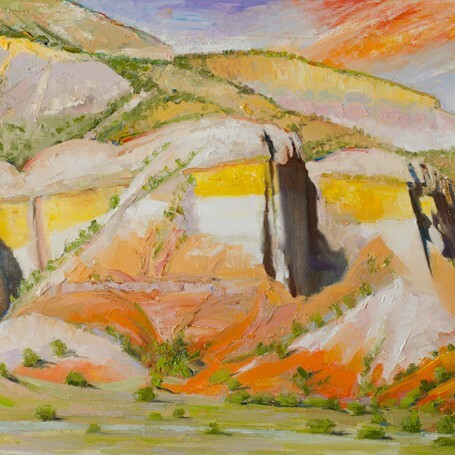 "The way my painting comes out is a function of the way I attack it," he has said, adding, "I have to work on the edge of my rational mind." 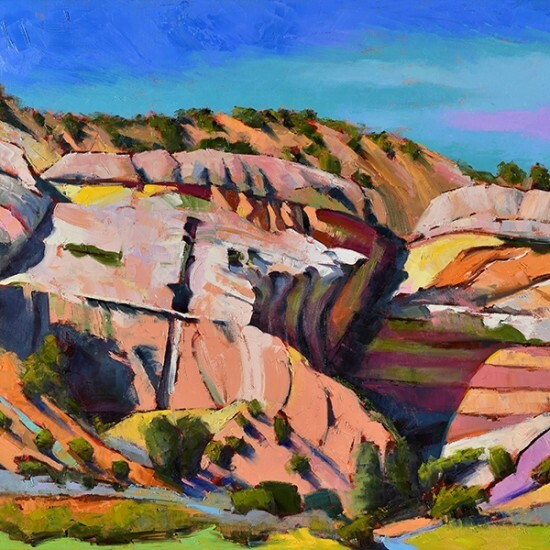 As in the landscape of Wayne Thiebaud, with whom Almeida has studied, the images beautifully manipulate perspective, presenting us with compositions that pulse with life. 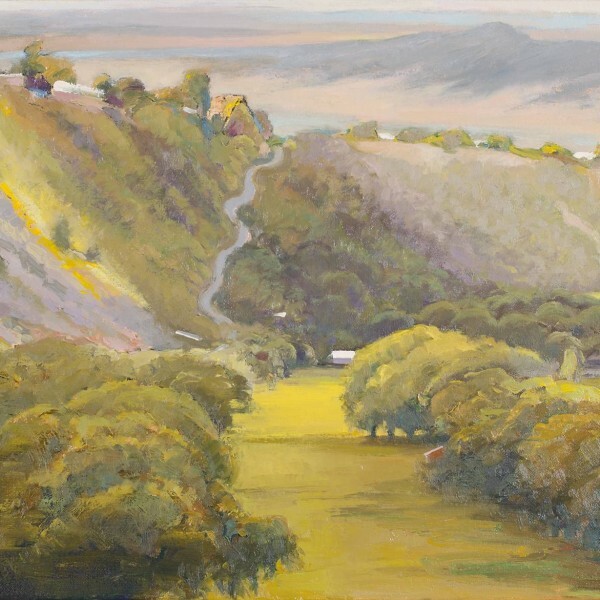 Born in Brazil, Almeida has lived in California since the mid-1980's, earning his degree from the University of California, Davis. 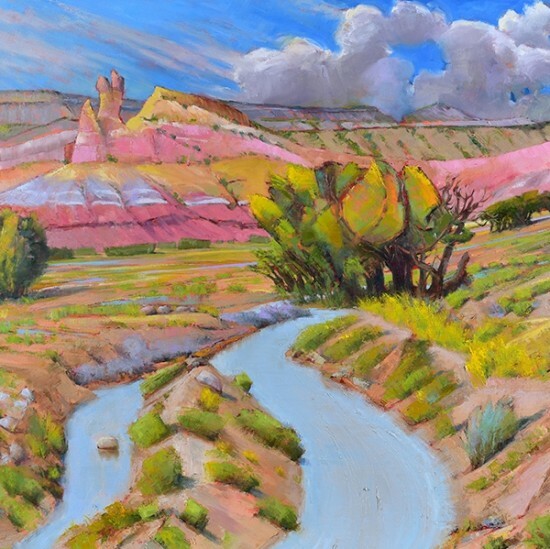 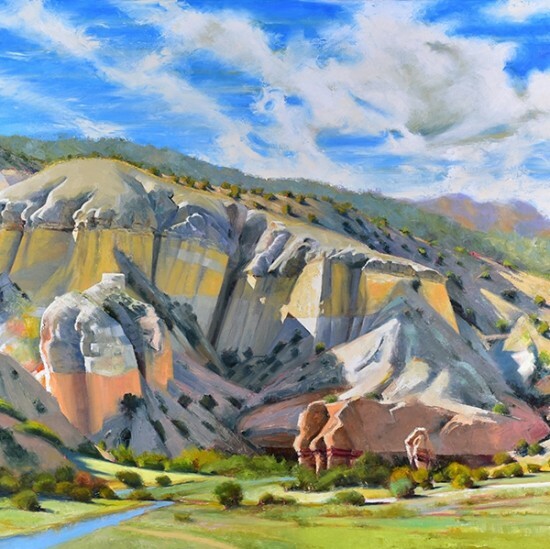 He has exhibited his work at galleries, museums, and art fairs including the San Francisco Museum of Art, the John Natsoulas Center for the Arts in Davis, and the Bennington Center for the Arts, Vermont.